It’s an Italian tradition that every March 19 on St. Joseph’s day, you eat zeppole, a deep fried ball of dough that I can’t seem to get enough of and thank St. Joseph that he’s only celebrated once a year. My zia Giuseppina and I like to think that March 19 is our day. After all, our names are the female version of “Joseph” and really, it’s a great excuse to eat an exoberant amount of the fritters . It helps that St. Joseph is considered the patron saint of pastry chefs, which makes it fitting that zeppole are the treat of the day. I like to think that anyone named Giuseppe or Giuseppina gets a free card to eat as many zeppole as possible. It’s a very basic recipe, but oh so good. I mean, c’mon! 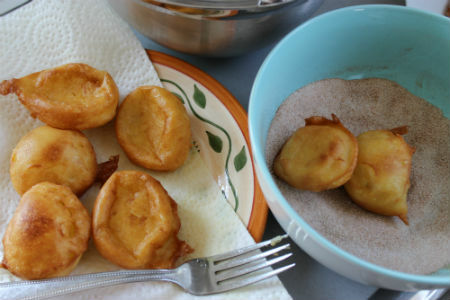 Butter, sugar, vanilla, flour and eggs deep fried until they are a crispy golden brown on the outside and soft and delicate on the inside. I like them at their very basic, but in Italy they fill them with ricotta cream or a more traditional chick pea paste. On St. Joseph Day, you can stop by any friggitorie (fantastic little fried food stands) in town and grab a bag of zeppole to get your fill. Everyone has their own version of zeppole, this one is from Giada, with a few adjustments to cater to my own personal tastes. Melt the butter. Add the sugar and let it dissolve into the butter. Add the cup of water and bring everything to a boil. 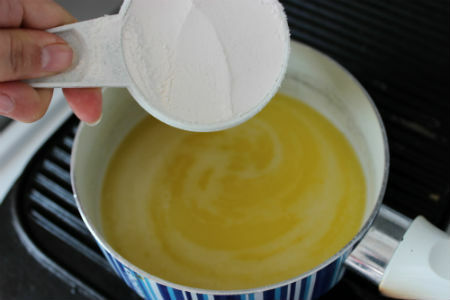 Take off the heat and stir in the flour. It’s going to turn into a lovely ball of paste. 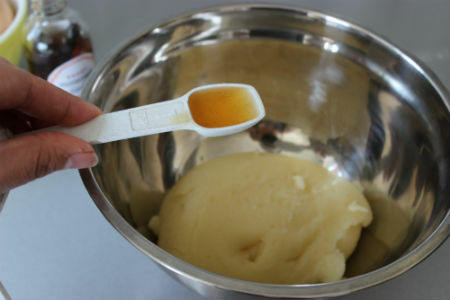 Put the dough into another bowl and add the vanilla. 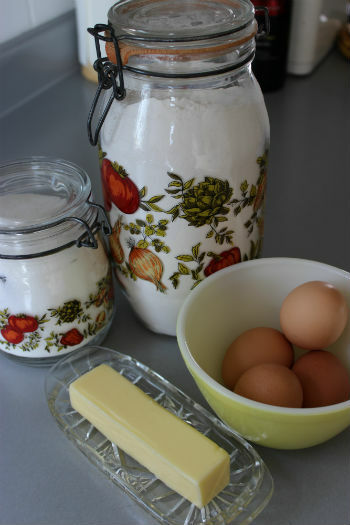 I had some homemade vanilla made during the Christmas holidays that gets added to everything I make these days. 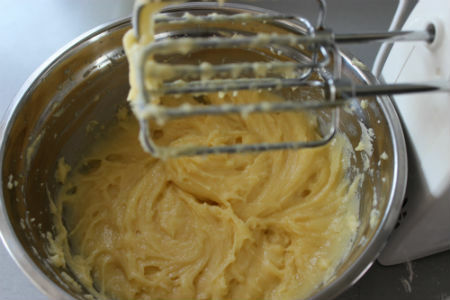 Add the eggs one at a time and mix until they are completely incorporated. Fill a pan with about 2 inches of olive oil. 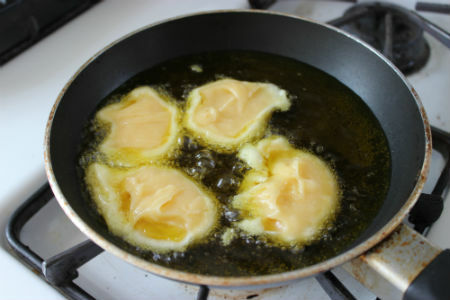 Using a teaspoon, drop the dough into the heated oil. 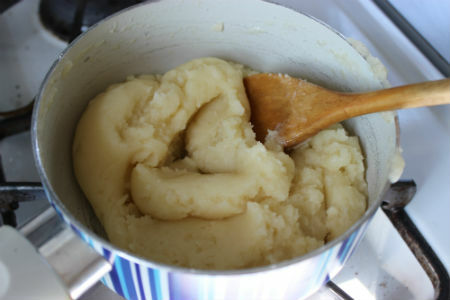 The dough puffs up and expands as it cooks, so a small about of dough goes a long way. I started off using tablespoons to drop the dough, but quickly found that they turned out a little too large for my taste. When one side turns a nice golden brown, just flip it over and the other side brown. Don’t take them off too soon, as you want to make sure the inside is cooked. Put the finished zeppole on a plate lined with a paper towel to drain. 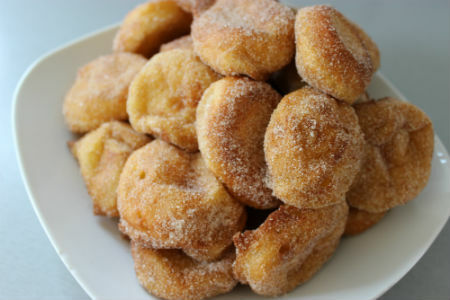 Have a 1/2 cup of sugar mixed with a few tablespoons of cinnamon waiting for you. Once the zeppole have dried off a little, coat them in the sugar mix. These are best served when they are warm. Okay, who am I kidding, they are great warm or cold.